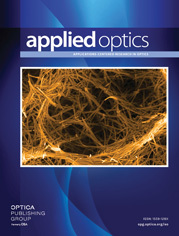 1The authors are with the Key Laboratory of Biomedical Photonics of the Ministry of Education, Wuhan National Laboratory for Optoelectronics, Huazhong University of Science and Technology (HUST), Wuhan 430074, China. Q. M. Luo's e-mail address is qluo@mail.hust.edu.cn. Laser speckle contrast imaging (LSCI) was used to monitor thermal-induced changes in the blood flow and the diameter of mesenteric microvessels of normal and tumor bearing mice under 60 min⁡ treatment at different constant temperatures between 41 °C and 45 °C. The results show that the blood flow and the diameter increase at the beginning and then reach a plateau and finally start to decrease. The lower the temperature, the longer the plateau stays. A t-test indicates that there is no significant difference in plateau values of relative blood flow and relative diameter for the same group. For normal mice, the relative increases in the blood flow and the diameter are 1.26 and 1.41, respectively, while for tumor-bearing mice they are 1.08 and 1.13, respectively. At higher treatment temperature or under longer heat treatment, there are decreases in the blood flow and the diameter, such changes in tumor-bearing mice are more obvious than those in normal mice, which means tumor microvessels are more sensitive to heat than normal. Moreover, thermal induced shrink of microvessel usually occurs sooner than the decrease in blood flow, and the relative change in diameter is larger than that in blood flow. Therefore we may conclude that deformation of vessel is a main factor for changing the blood perfusion of a microvessel. a These values are relative to the values at 42.5 °C (for normal group) and 42 °C (for tumor-bearing group) after heating for 28 min at different temperatures. a These values are relative to the values at 42.5 °C (for normal group) and 42 °C (for tumor-bearing group) after heating for 60 min at different temperatures.